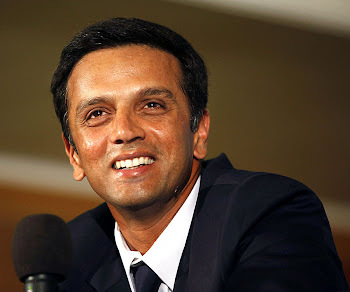 Before getting a call-up for the Indian team, I had played a couple of matches against Sachin Tendulkar in the Duleep Trophy and in the Wills Trophy. When I entered the Indian dressing room, Sachin was already the vice-captain of the team, a known face and a great achiever. We were of the same age but he had already been part of the team for seven years. He was star, one of the most recognisable faces in world cricket. I grew up watching and reading about him. My Karnataka team-mates Anil Kumble and Javagal Srinath were playing with Sachin and they would narrate stories about him. For a newcomer like me it was a huge thrill to share the dressing room with a player of his class. I learned so much by observing his work ethics. First we played together as players. Then I played under his captaincy, and later he played under my captaincy. But let me tell you that the equation never changed between us. Together we have won so many matches that it has been truly satisfying. Winning against the unstoppable Australians lead by Steve Waugh, winning in Australia, playing well to reach the 2003 World Cup final, and even our first ever Test and ODI series win in Pakistan were memorable. Much was said about me declaring in the Multan Test when Sachin was batting on 195. The decision was not personal; it was taken in the team's interest, directed at team goals. Whatever transpired was just between the two of us. On the third day of the Test I went to Sachin's room. We sat together, chatted, and the matter was sorted out. Sachin, being such a great team man, was always ready to give more than 100 per cent for its cause. That is the kind of trust and understanding we have between us. Whenever we have an issue, the openness has always been there. We never needed any middleman to sort it out. We have always relied on a face to face talk. I also appreciate the balance that Sachin has struck both on and off the field. Honestly, in India it is not easy to be Sachin Tendulkar. The kind of fan following he has is mind-boggling. Sachin still has the drive to improve. He is too focussed as far as cricket is concerned. It's a tribute to the man that he retains the quality after 20 years. Phenomenal achievement by a phenomenal person - that is what Sachin is.